Writer’s block. Feeling like you’re stuck in a rut. Analysis paralysis. Whether you labour as an innovation-hungry creative, or pursue a career within the more structured constraints of a conventional industry, now and again everyone needs to get our of their comfort zone and let their imagination run free. 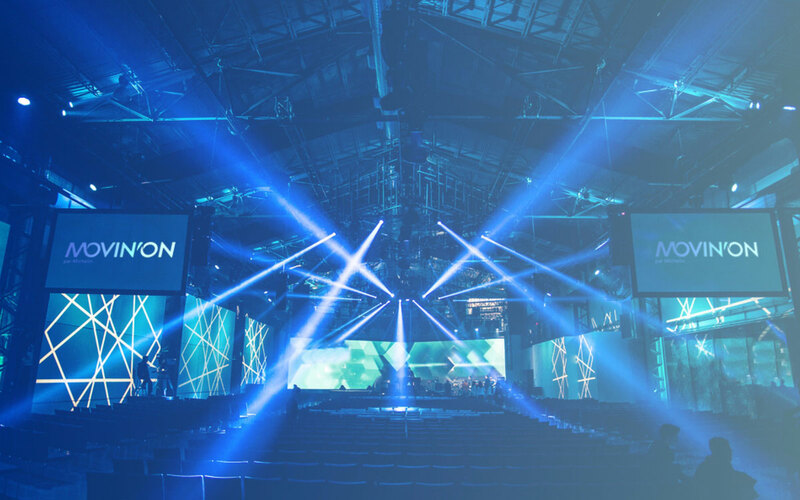 At Movin’On, both participants and experts are encouraged to throw off the shackles of the daily grind and take part in our unique collaborative sessions known as “labs”. But be forewarned! Anything can happen in a lab. Lab. If the term has you picturing a sterile white room filled with racks of test tubes, then you’re in for a treat! The Movin’On version of a lab exists on an entire different dimension. In essence, it’s a highly collaborative experience which breaks free of conventional models in order to catapult participants into a multitude of unique situations. You might find yourself sharing a pink umbrella with a complete stranger as you stroll through an artificial snowfall, re-discovering your five senses in a omni-sensorial garden, or collaborating with your lab partners on the construction of a Rube Goldberg contraption while strapped into a climbing harness suspended twenty feet above the ground. It goes without saying that it’s not all fun and games: participants are meant to collect actionable takeaways in order to fuel their own professional development. Teaming up with strangers, rejecting conventional wisdom, thinking outside the box… these mental and physical experiments are sure to unleash new dimensions of creative expression. In every far-flung corner of the world, the one thing which binds us all together is food- wether it be cooking, eating, and sharing a meal! 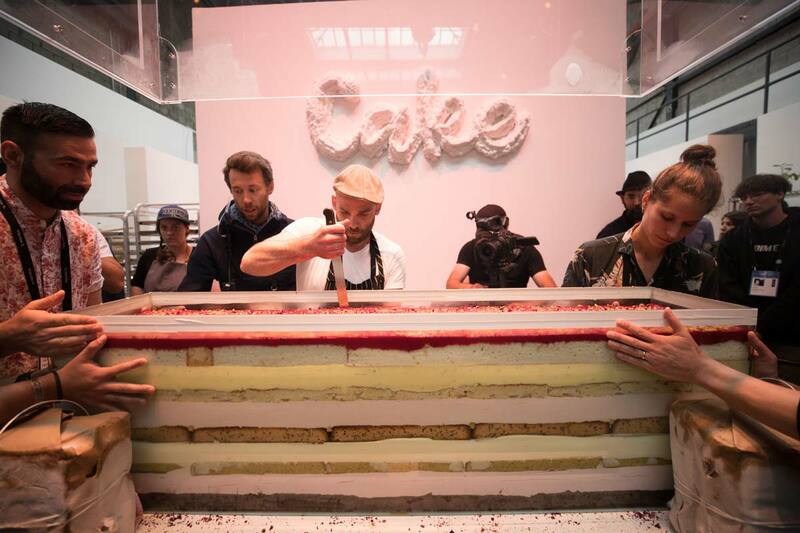 One of the most popular collaborative experiences at Movin’On is sure to be the Cake Lab. We are so much more productive when everyone pitches in. Cake lab is a practical and concrete experience where participants discuss, hands busy, in the presence of a guest expert. The final Cake, a true masterpiece, will be offered a snack to all Movin’On participants on the last day of the event. Spaces are very limited, so don’t wait to reserve your spot on klik.